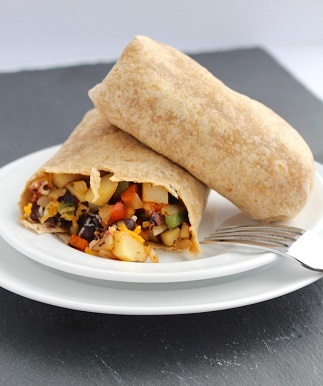 This burrito recipe is a "must" for your recipe file. 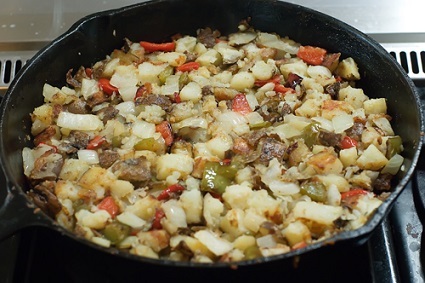 It is a favorite breakfast and lunch recipe and will be with you and your family! Preparation Time: 20 minutes. Servings: 1-2. 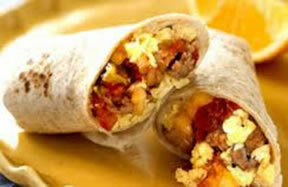 As an alternative, use this same recipe to make a scramble topped with cheese and serve warm tortillas on the side. If you want breakfast in bed, sleep in the kitchen."